❯ The Pensacola Farmer’s Market: Every Saturday morning on Palafox Street (across the street from the hotel), there is a fantastic local farmer’s market with where you can find just about anything your heart desires. Here you can get some great food, crafts, and local artwork. ❯ Gallery Night: The dates for Gallery Night vary, but it is not an event you want to miss! Chances are there will be a date close to the time of your stay, so keep an eye out for it. 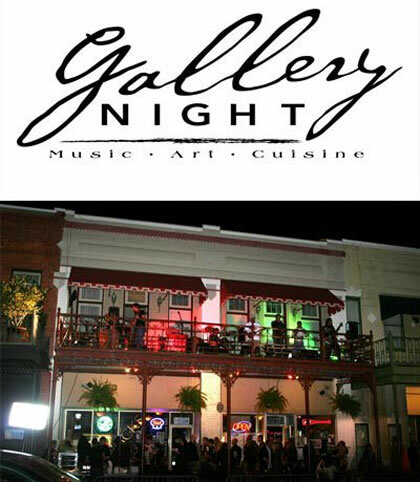 Gallery Night is where most of downtown is closed off to car traffic, so plan accordingly, and people are able to walk the streets. Art, music, food, entertainment, and more are there for your enjoyment. 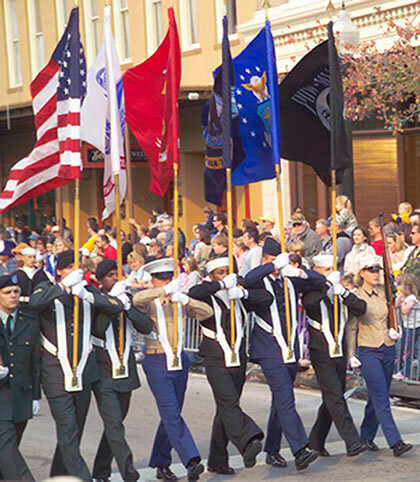 ❯ Parades: Downtown Pensacola is a prime spot for all sorts of celebrations, and many of these celebrations are accompanied by parades. Solé is the only in Pensacola hotel on the parade route for viewing these attractions. Parades are hosted several times of the year. ❯ Music: We are located on the same street as the legendary Vinyl Music hall. Here you can catch performances from world famous and small local musicians alike. Tickets are generally reasonable and the venue is a hotspot among the locals for drinks, dancing and entertainment. Check out their calendar for dates and plan your trip accordingly, for you may have a chance to see your favorite artist! Also, the Saenger Theater is a venue for top recording artist and Broadway musicals all year long. ❯ History: There are many options for you to explore the rich history of Downtown Pensacola. 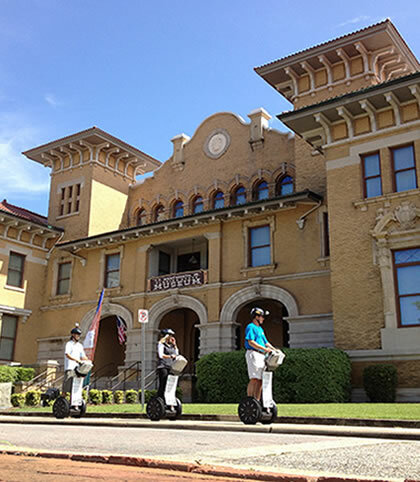 Some companies offer segway or trolley tours of the downtown area where you can learn the in depth details from a local professional. You can also take to the streets on your own and visit one our many great museums! 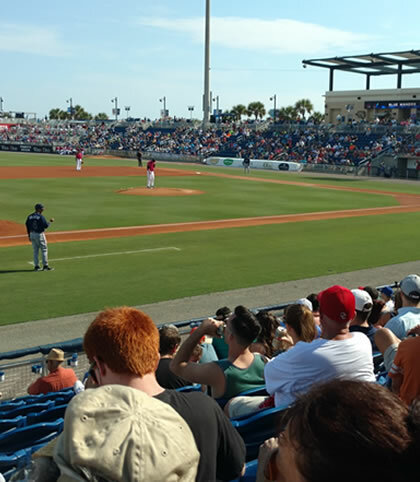 ❯ Sports: Solé is located within a short walk from the famous Blue Wahoo’s Stadium. There you can enjoy some great games and great food! During the off season, you can head over to the stadium on certain days and enjoy a picnic in the field or movie night. The stadium has a gorgeous view of Pensacola Bay. Also, come watch University of West Florida football during the fall play at the stadium. 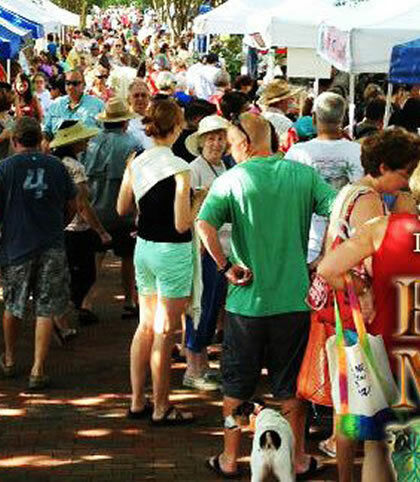 ❯ Festivals: Pensacola is the home to many wonderful festivals including our annual Seafood Festival, Greater Gulf Coast Arts Festival, Crawfish Festival, Fiesta of Five Flags Celebration , Pensacola Mardi Gras, Pensacon, along with Pensacola’s huge New Year’s Eve Celebration and many more. If you need any help finding places to go, then feel free to ask one of our knowledgeable staff for assistance. Welcome to the historic Pensacola hotel “Solé Inn and Suites.” Sole’ Inn and Suites is located on famous Palafox Street, awarded one of the top 10 streets in the entire United States.